Ever since a democratic system of government was adopted and a strategy of planned economic development was launched in India, the planners were quite conscious of the need for an administrative system different from the colonial one to implement the planned objective of development. 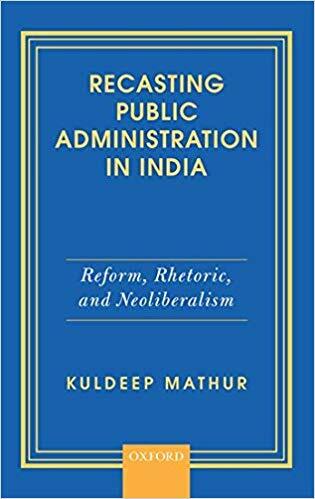 Kuldeep Mathur, in this volume, examines these administrative reforms and provides a magisterial account of the changes in the institutional process of public administration. The introduction of neoliberal policies revived concerns about reform and change, thereby giving rise to a new vocabulary in the discourse of public administration. The conventional world of public administration was now expected to adopt management practices of the private sector and interact with it to achieve public policy goals. New institutions are now being layered on traditional ones and India is becoming a recipient of managerial ideas whose efficacy has yet to be tested on Indian soil. In light of the aforementioned changes, this volume argues that hybrid architecture for delivering public goods and services has been the most significant transformation to be institutionalized in the current era and critiques the neoliberal transformation from within a mainstream public administration perspective.